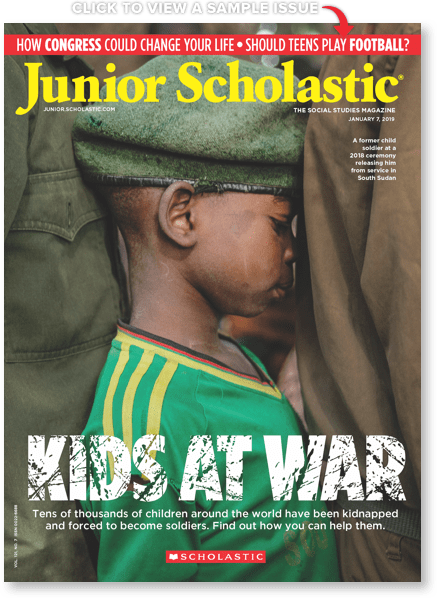 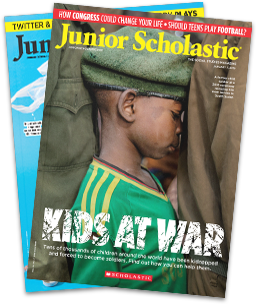 Why have generations of teachers relied on Junior Scholastic for important, age-appropriate stories? 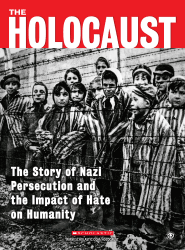 Watch this short video to find out. 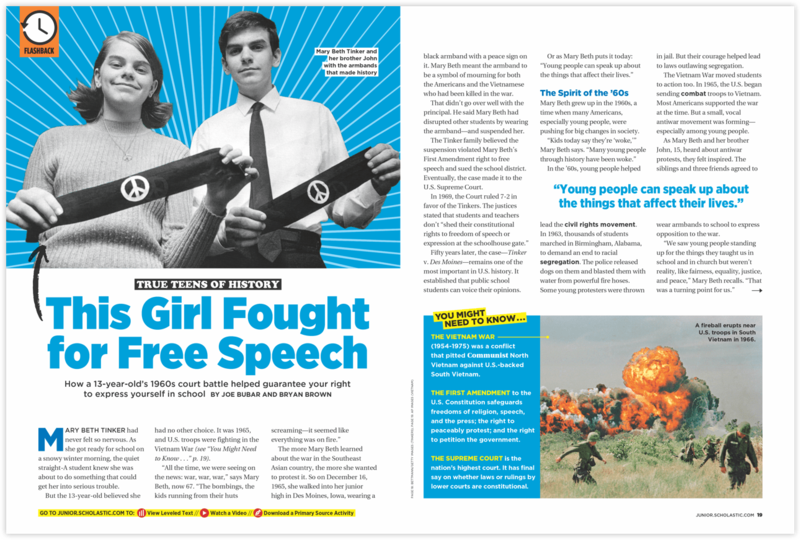 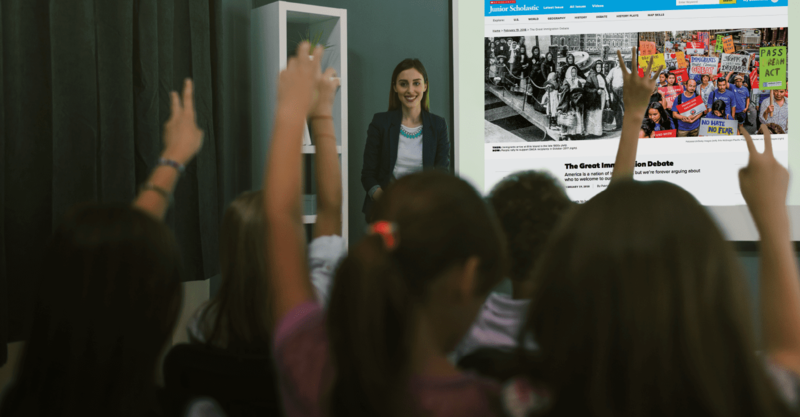 Captivating articles get students thinking about today’s news and why it matters to them. 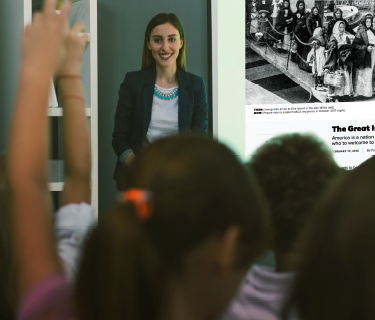 Each story comes with easy-to-implement teaching resources that save planning time and build Social Studies and Language Arts skills. 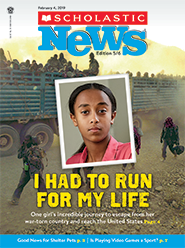 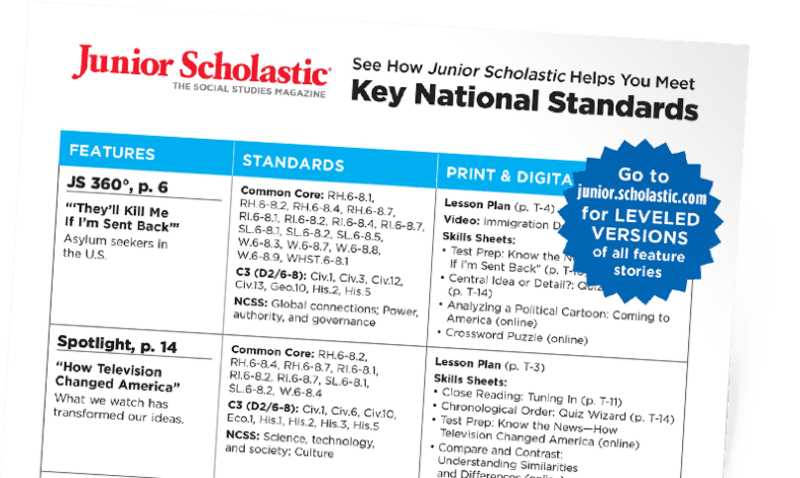 Scholastic News brings you all the short, on-level informational texts you need to to meet academic standards. 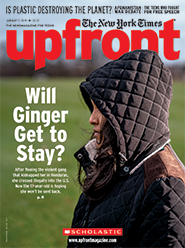 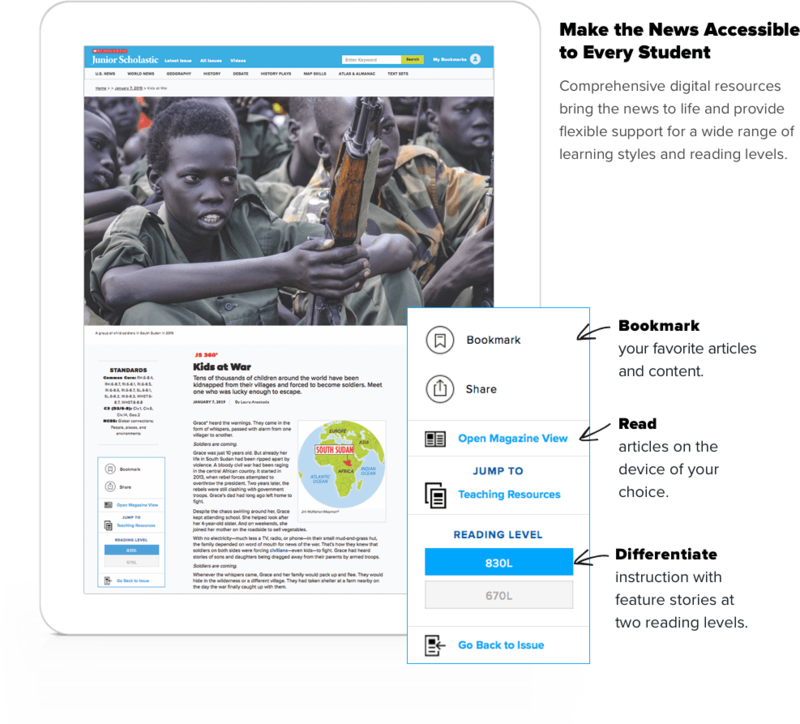 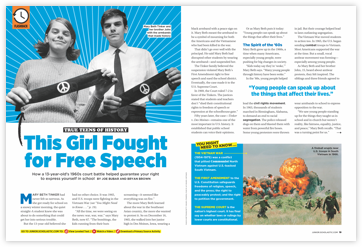 Upfront makes today’s most important news stories relevant and meaningful to your students.